Llynea Sherwin is a student at the University of Texas at Arlington and an ISA Featured Blogger. She is currently studying abroad with ISA in Amman, Jordan. 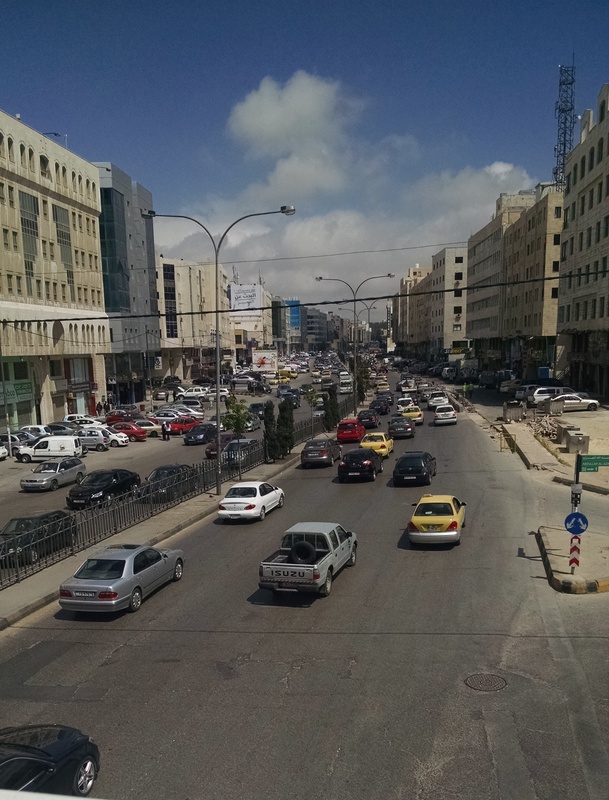 Easily one of the most shocking parts of life in Amman is found by navigating the city’s heavily trafficked streets. Lanes – Even on the most well-paved roads, lane markings are faded or nonexistent and largely ignored. For example, if you’re in the right lane and suddenly need to turn left, it’s perfectly fine you just have to make space for yourself. The far left is still reserved for those who choose to speed, but other than that the only rules are to not get hit or hesitate for even a second when the light turns green. The only instance of road rage I have ever witnessed was when it took my taxi driver 5 seconds to notice the green light. All these cars are merging, but none of them have their blinkers on. Turn Signals – Sometimes referred to as ‘indicators’, aren’t mandatory, but actually more of a polite gesture or mark of a good driver in Amman. 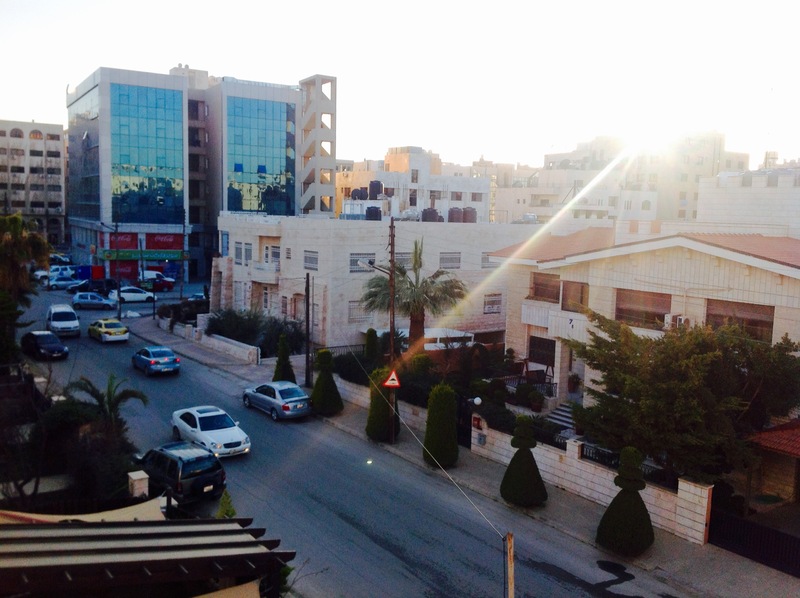 While riding in my first self-hailed cab ride, my driver noticed my tense posture and the facial expressions I’m certain I was was failing to hide and vigorously assured me he was the “safest driver in Jordan!” He then emphatically turned on his blinker and proudly left it on the entire ride. Seat Belts – These are also seen as nonessential car equipment, much like bumpers and car seats for children. The instinctive impulse I get to reach for it immediately after sitting down is almost seen as rude! Many taxis have them removed and busses almost always have no evidence of ever having them installed. It’s going to be difficult to retrain myself to reach for it upon returning to the states. Road Rage – Surprisingly, this is almost non existent from my perspective. I live in the heart of the DFW metroplex, where there is a good mix of drivers from all over the country. Cutting someone off in traffic is often enough to get you anything from angry glares, a proposal to race, or even followed and yelled at! Here, it’s just a normal part of navigating the busy streets and circles. 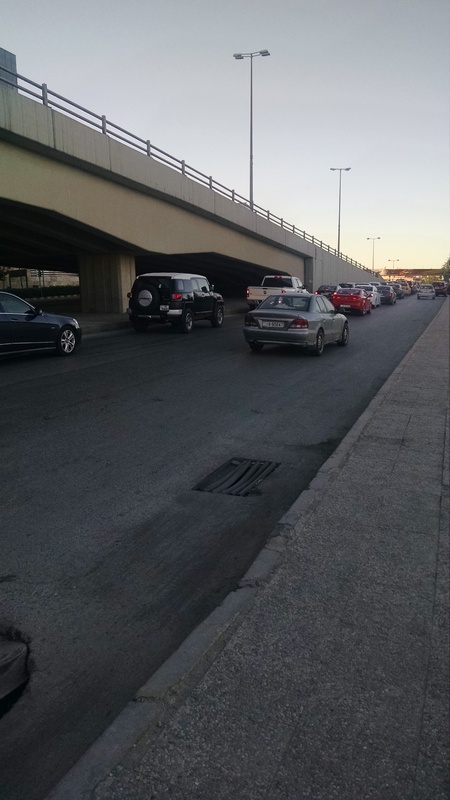 Offensive Driving – Here in Amman, it’s not enough to simply be a ‘defensive driver’, although that is key to avoid any accidents. You must constantly be on the offensive, or you will not get anywhere. Your car is an extension of yourself, and the only way you’re going to get around the various ‘duwar’s is by placing yourself strategically and not backing down. Street Signs– The most shocking part about driving at all is the fact that street signs are completely ignored. I can understand why, because who has time to read ‘Omar Bin Abdul Al Hussein’ while dodging taxis, tourists, and side street fruit stands? Stop signs are also ignored completely, and I have yet to see anyone yield because of a triangle. Everyone uses landmarks and cities as a way to tell others where to go, so if you’re new to the city, it’s a good idea to take them into account. Hazards – Aside from typical rush hour times, I’ve been out at many times of day and night and there are always random points where the traffic becomes extremely concentrated for a multitude of reasons. Sometimes the street narrows and every car tries to occupy the same space resulting in a sudden stop. Anytime this happens unexpectedly, thee cab will turn on his hazards to indicate this and protect his bumper from the rapidly approaching traffic. It also makes me feel a lot more comfortable since most cars don’t leave enough space for a person to walk between them. 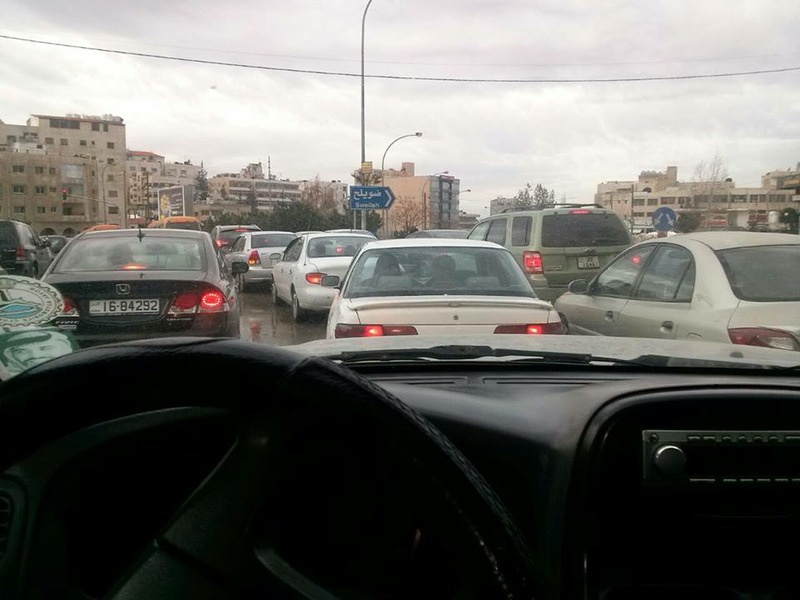 If you ever plan to drive in Amman, keep these things in mind for a much safer venture. Hello, thanks for the heads up. 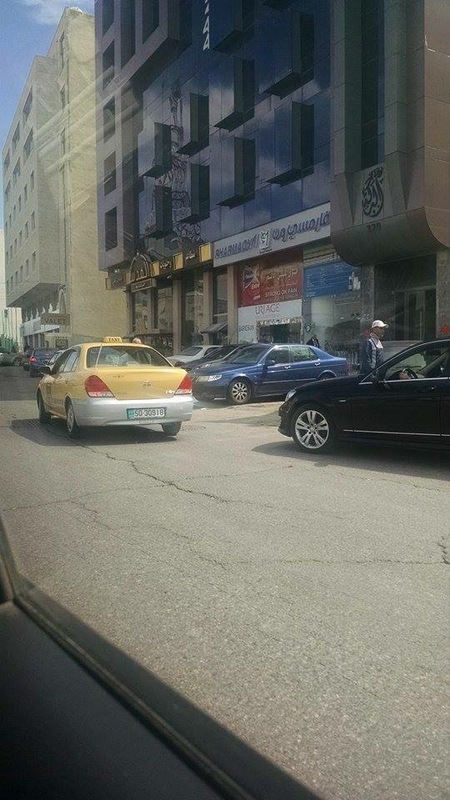 So it’s possible for a tourist to drive in Amman? I am debating whether to take a taxi for two days of sightseeing in Amman or to rent a car. Thanks for your time and patience. Any feedback is appreciated. BTW, is taxi expensive?